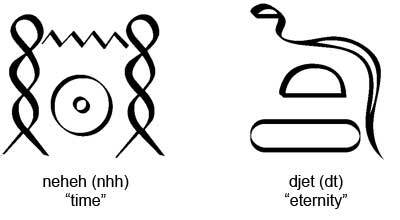 As I was researching for the posts on the ankh, I came across some information which was interesting, describing the Egyptian concept of “time” and “eternity.” These concepts almost seem repetitive and redundant to our modern way of thinking, but to the Egyptians each of these terms represented something concrete and distinct, and both were invoked in certain rituals, texts, and illustrations. 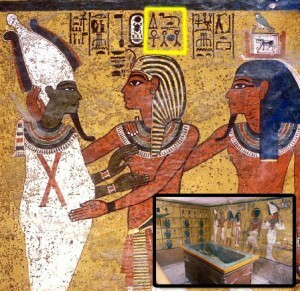 It is clear that the Egyptians considered these two ideas as unique, but they often used them together, and so it seems difficult for our present Egyptologists to distinguish or disambiguate what the Egyptians meant by them individually. There has been plenty of speculation. This first scripture is, no doubt, the most read scripture in all the Church, and possibly the most read from the LDS canon outside of the Church. Members of the Church have all read this scripture over and over as they begin reading the Book of Mormon and recommit to daily scripture study and finishing the Book of Mormon. We are familiar with the honor Nephi bestows upon his parents, his telling of the afflictions he suffered throughout his life, the way the Lord favored Nephi and blessed him greatly, and thus Nephi begins his record. This first verse of the Book of Mormon could probably be recited from memory by most members of the Church because of its frequent repetition. But did you know that this first verse, indeed the entire small plates of Nephi, might have overarching temple themes?